Congratulations to the champions of the 2017 World Baseball Classic! 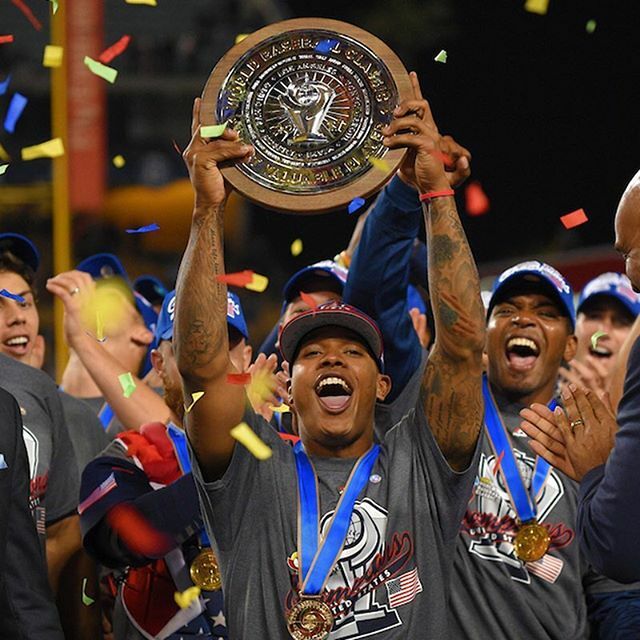 Last Wednesday, the The United States baseball team shut out Puerto Rico 8-0 to win its first World Baseball Classic in four attempts. To commemorate this occasion, On Display worked with Herff Jones to design the boxes for the medals awarded to the winning team. 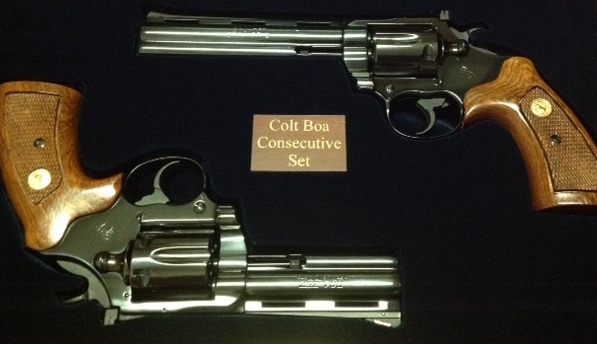 Each box was carefully handcrafted by our skilled staff. 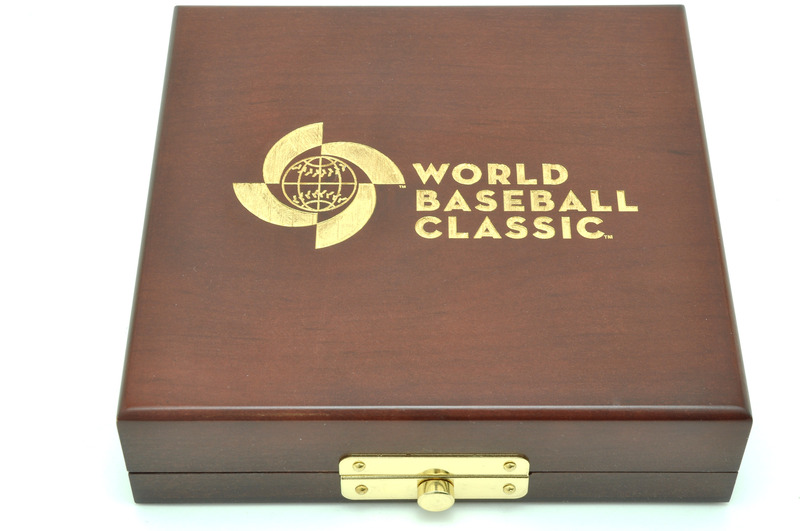 They are hewn from a beautiful finished cherrywood, boasting a silk and felt lining for added protection, a brass latch, and the World Baseball Classic logo etched into the top and inlaid with a gold fill. 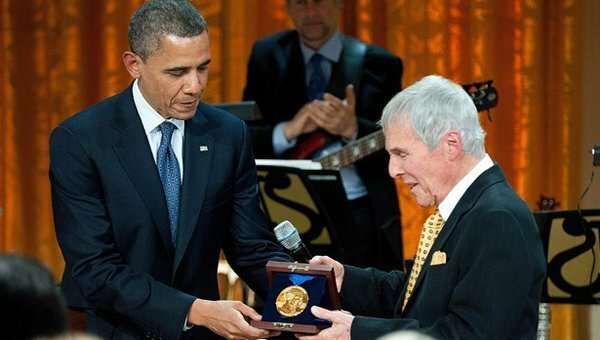 The Carnegie Hero Fund, established by Andrew Carnegie in 1904, awards medals to people in the US and Canada who have risked their lives in order to save others. 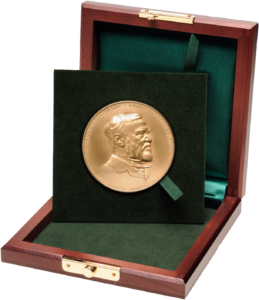 The Carnegie Medal commemorates those who have gone beyond the call of duty to oftentimes extraordinary risk in order to ensure the safety and well being of those in peril. At On Display, we share this respect for such heroic acts, so we agreed to partner with the foundation to design and manufacture the boxes used to house these medals. 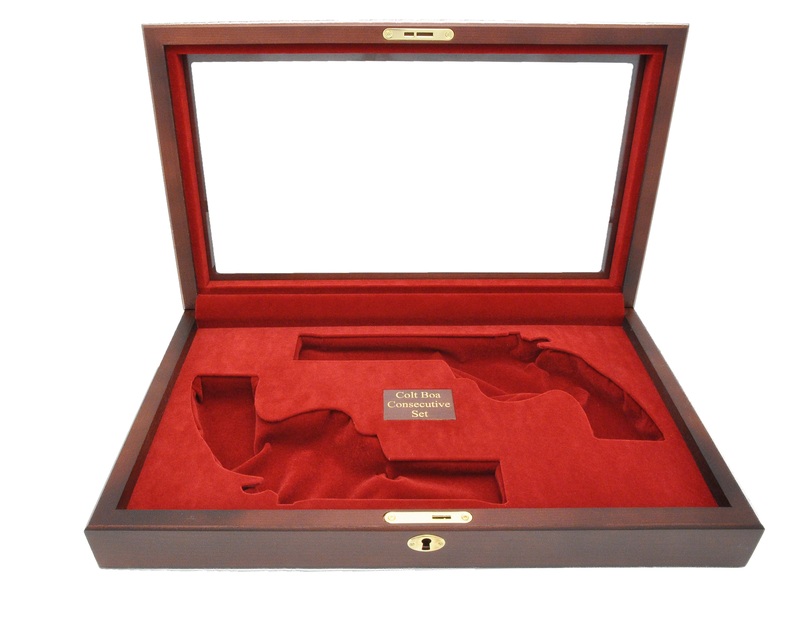 Each box is carefully crafted from premium cherrywood, lined with a felt interior and protective silk cushioning, embellished with a brass latch, and adorned by a beautiful dark finish. Recently, we worked on a very special project for a company with a very important five-year mission: to explore strange new worlds, to seek out new life and new civilizations, to boldly go where no man has gone before. In October, Cryptic Studios, the team behind the wildly popular game, Star Trek Online, contracted us to make a custom phaser case to award the extended service of two team members. 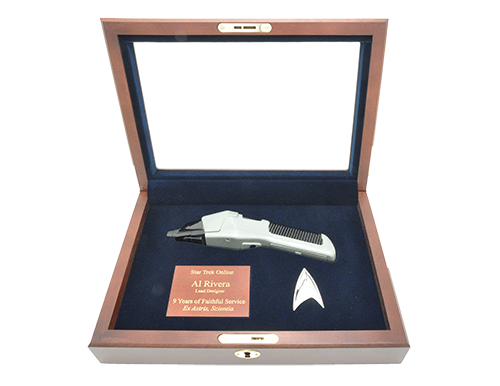 The cherry wood box we created features an engraved plaque along with housings for a classic Star Trek Phaser and Starfleet badge. 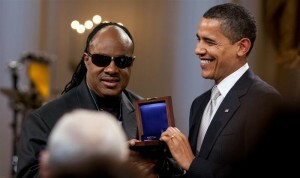 Steve from Cryptic was elated by the results. 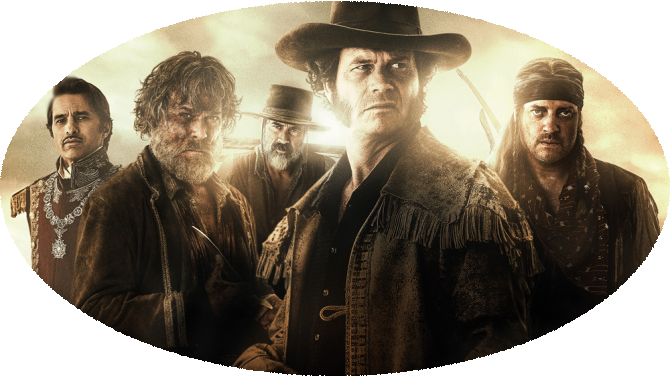 On May 25th, at 9 p.m. EST, the History channel premiered Texas Rising, a ten-part series which depicts the Texas Revolution following the events of the Alamo. 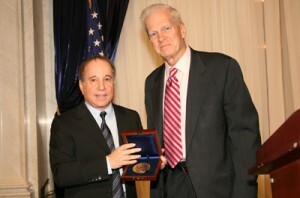 In commemoration of the series and those who participated in its production, the Alamo Endowment, an organization focused on raising money to restore the historic Alamo, held an event dubbed “Texas Honors” at which sterling silver badges branded with the event’s title were rewarded to twelve of the recipients involved in the production of the series. 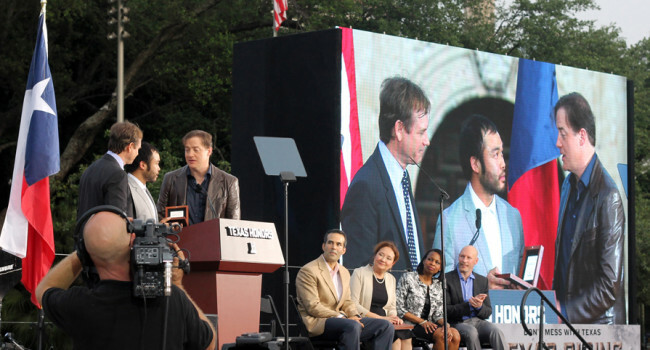 Among the recipients were actors Bill Paxton and Paul Fraser along with Bravo’s “Top Chef” Paul Qui who has been deeply involved in raising money for the restoration. 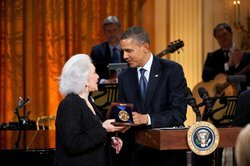 Tasked with designing a display for these awards, On Display crafted a box who’s base, lined with sleek black fabric, was designed to comfortably house one of the medallions. Under its lid, a plaque commemorating the event was embedded. 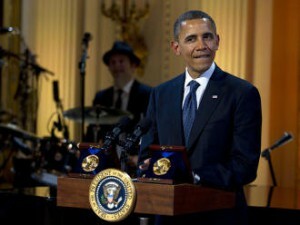 The display, as can be seen below, was constructed from genuine Mesquite wood, specially ordered from the state of Texas. A custom-made blade can speak volumes, boasting beauty, character, and sometimes telling a story. 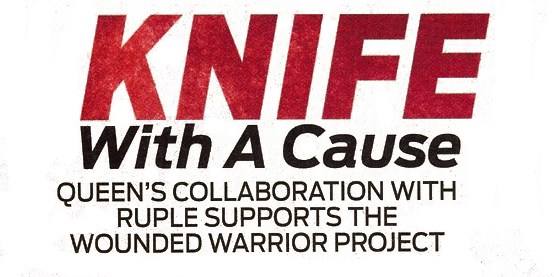 In the case of a certain company’s collaboration with Bill Ruple, one of these knives even has the potential to support our injured troops. Recently, Pennsylvania-based company Queen Cutlery conceived a project to benefit the Wounded Warrior Project, a non-profit organization that provides assistance for our veterans who find themselves afflicted by injury received in the line of duty as well as for their families. Teaming up with expert designer Bill Ruple and leaving presentation and protection to GunBoxesUSA.com, a uniquely special trapper knife was designed and crafted with the purpose of being auctioned at the annual Blade Show. Its popularity with attendees was wide-swept, and as a result, the knife went to the highest bidder at an impressive $2,250. The knife, a work of art that epitomizes Ruple’s use of 20th century patterns, the best materials available, and craftsmanship beyond compare, features a Ruple Hump Spey and large clip blade, both which are constructed of heavily-polished, hollow-ground D-2 steel. Each of the two blades are coupled with a deep-cut swedge and crescent nail nicks to be used for opening. Forged from nickel silver, the front and rear bolsters of the knife, as well as all liners and pins, are accompanied by a unique handle adorned by an oval-shaped nickel silver shield resting atop scales of genuine torched stag. When it came to presenting the trapper blade at Blade, Queen Cutlery knew to look no further than GunBoxesUSA.com. The company, a division of John P. Scott Woodworking, was able to design a completely new cherrywood case that was crafted to snugly fit the knife, weighing 5.1 ounces and sporting a blade length of 3.9 inches and an overall open length of 7.5 inches. Utilizing the classic design and high quality of the case, Queen was able to show off the rich features of the blade while keeping it safely housed and ready for transport in style. Check out the article in Knives Illustrated! 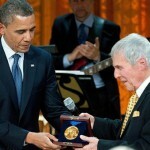 See how you could get involved with the Wounded Warrior Project! This past year, On Display was chosen by Herff Jones to craft the presentation boxes for the San Antonio Spurs 2014 NBA Championship rings. 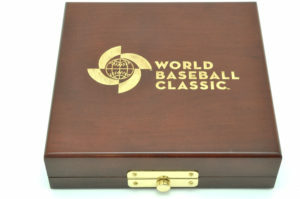 Several other boxes were made for the event including a pendant box, a Fan ring box, and a box to display all 5 of the rings that the team has won over the past 15 years. 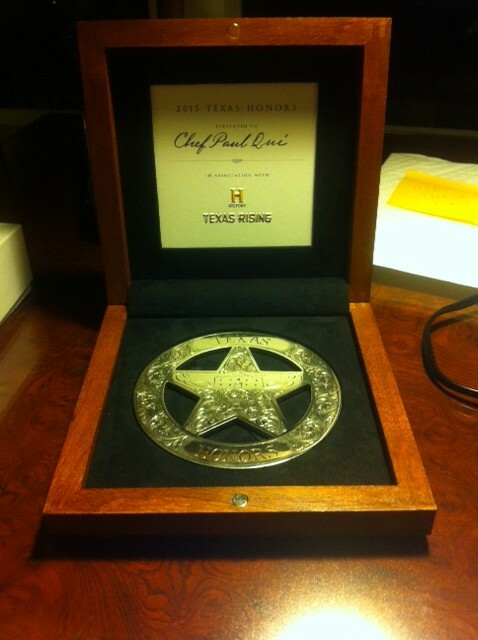 The box has a glass lid and the team Logo Spur and “2014 NBA CHAMPIONS” was engraved. 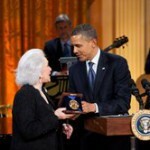 On Display is proud to be a part of this prestigious event. ‘The 2014 NBA Championship rings were presented to the San Antonio Spurs on Tuesday, Oct. 28 as the team tipped off the 2014-15 season. 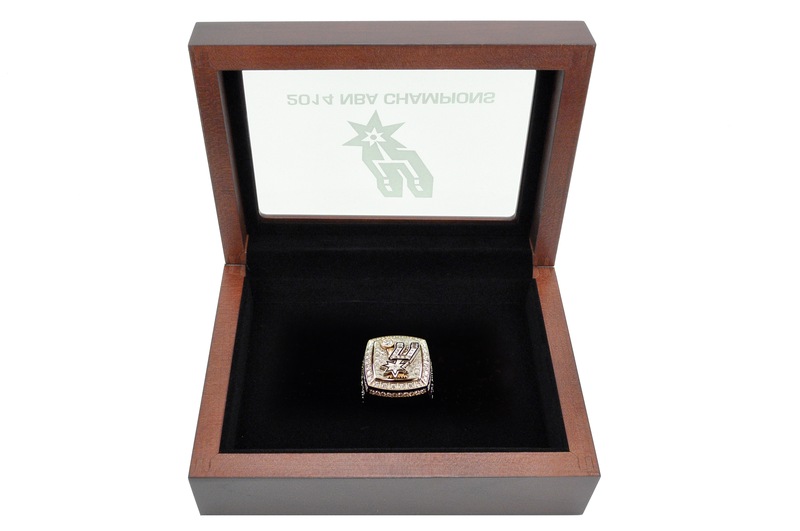 Herff Jones is honored to have been chosen to create the 2014 NBA Championship ring for the San Antonio Spurs. 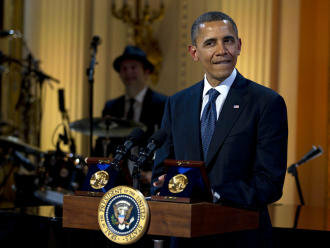 The Championship ring contains more than three ounces of 14 carat white gold with 5.09 total carat weight of diamonds. The top includes 76 round, 10 princess cut, and four baguette diamonds. Around the edge of the top are 42 round diamonds. The left side of the ring showcases the player’s name and number along with the NBA logo and winning year 2014. 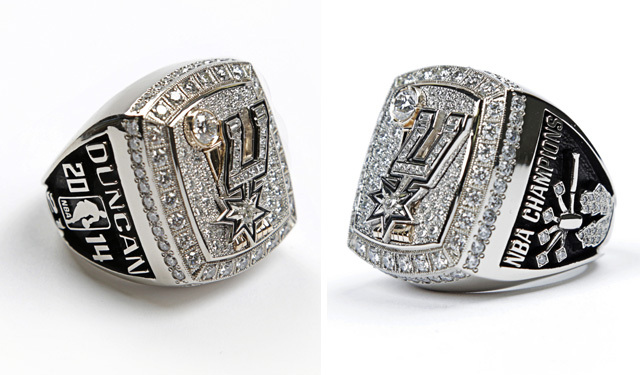 The right side of the ring showcases the Spurs “Pounding the Rock” symbol containing 22 round diamonds. There are five sparks shooting out from the rock which will contain the number of diamonds that coincide with the number of championships an individual player is associated with. Masters of Design, which was acquired by Herff Jones in 2009, was chosen to create the 2014 NBA Championship ring for the San Antonio Spurs. 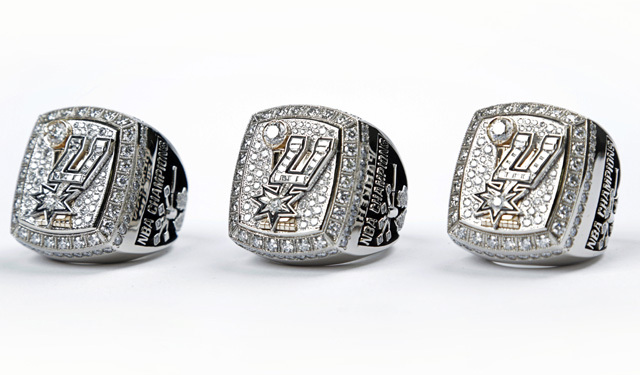 Prior to that, Masters of Design created the 1999, 2003, 2005, and 2007 NBA Championship rings for the team. 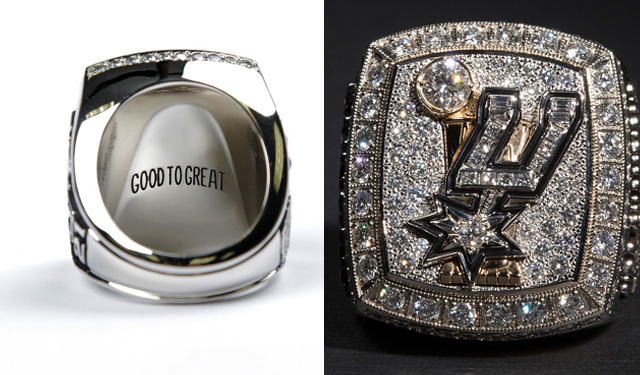 The “Good to Great” inscription (seen in the second pic below) on the inside of the rings is a cool saying to exist on these rings and commemorate the run the Spurs went on to secure the jewelry. The Spurs overcame a devastating loss to the Miami Heat in Game 6 and Game 7 of the 2013 NBA Finals, only to come back last season and be even better than we had previously seen them. 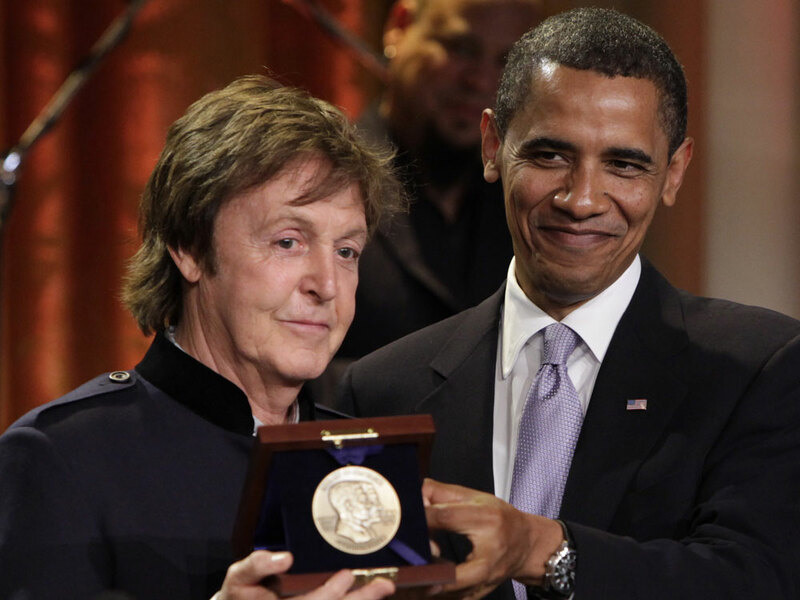 They never let the experience and loss rattle them from executing the job at hand.